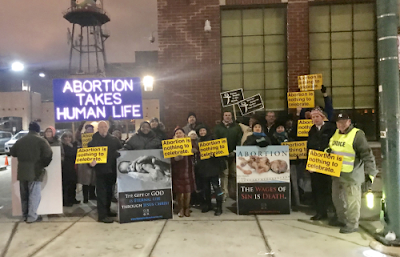 On the eve of the March for Life in Washington, D.C., four days after Chicago's 2019 March for Life was held on Federal Plaza with a record number of 8,000 plus pro-lifers in attendance to celebrate life, Chicago's Planned Parenthood held a fundraiser at Morgan Manufacturing. They celebrated the Supreme Court's ruling of Roe v. Wade, which legalized abortion 46 years ago this week. The event raised the question: Is a woman's legal right to end the life of her unborn child reason to celebrate? Click here for more from Illinois Review.